As part of Singh Fabrications’ complete range of steel manufacturing and fabrication services, we offer a great range of quality bollards in Brisbane suitable for almost any application. Protect your property, security and thoroughfares with one of our bollard solutions. Stainless steel bollards are often used along streets or in parking lots to separate vehicle traffic from foot traffic. However, they can also be used around the home. You can use bollards in your yard to border gardens, as well as being used around the driveway. For your driveway, you can use pipe bollards made of stainless steel to keep cars from getting too close to your lawn. Though stainless steel is not easily painted, it still looks good almost anywhere, and will not easily rust or corrode. As leading structural steel fabricators in Brisbane, Singh Fabrications can manufacture bollards in Brisbane for residential, commercial, or industrial requirements. Contact us today for more information. 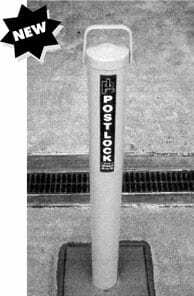 For a range of bollards suitable both for your Brisbane home or business, call us today. We pride ourselves on our ability to tailor custom solutions to meet all of your needs. Whether you choose from one of our pre-fabricated bollards, or you’d like to talk to us about custom bollards, we look forward to discussing your needs with you today. We specialise in fabricating and installing our quality bollards to home and business owners throughout Brisbane and South East Queensland For a free quote on all steel bollards contact us today.